In well over a decade of publishing Londonist, we've read and reviewed hundreds of books about the capital. We say that not to show off, but to add some credibility to what we say next. Curiocity is the greatest book about London published in modern times. 'Book' is too weak a word for this tome. It is a sprawling publication — a codex of the capital, an illuminated manuscript for the 21st century city. Its 450 A4 pages take us on an alphabetical tour of the capital. The predictable route might be to start with chapter titles like 'Arts', 'Bars', 'Coffee Shops' and 'Dining'. Curiocity plumps for 'Atlas', 'Blocks', 'Congestion' and 'Dust'. If we had to choose two words to sum it up, they'd be 'playfully arcane'. Ultimately, it's a compilation of trivia. But it's the kind of trivia you don't encounter every day. The authors have a unique way of combining scholarly depth with an enormous sense of fun. So even if you've never heard of TS Eliot, you'll enjoy reading their guided walk inspired by The Waste Land (which somehow avoids most of the actual locations from the poem in favour of Plaistow and Abbey Wood). Others will enjoy an illustrated guide to the biscuits invented in the capital, or a fact-filled page on the city's most unusual traffic islands. Curiocity undoubtedly has substance, but it also has style. 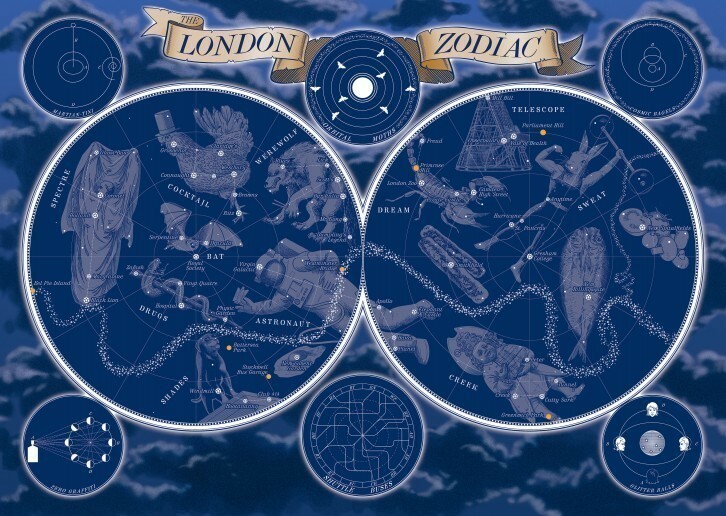 Its pages are enriched by the work of 14 different illustrators (see, for example, the London Zodiac). Guest contributors include Monica Ali, Robert Macfarlane, Michael Moorcock, Philip Pullman and Dame Fiona Woolf. Even Astronomer Royal Lord Martin Rees is here. And the cover... you'll want to stroke it for hours. 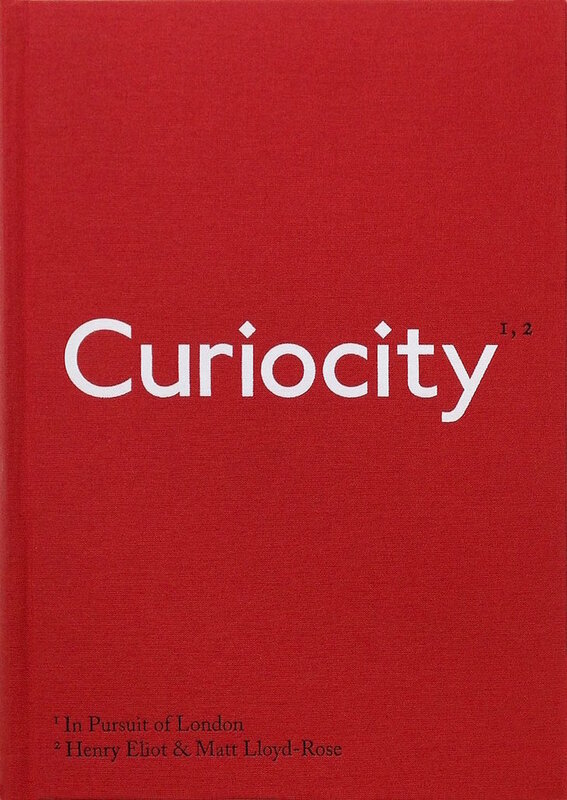 To top it all off, Curiocity spills from its own pages into the real world. A series of clues throughout the book will lead you to six ceramic tiles, concealed around London. Find all six, and you'll have all you need to track down a log book. Anyone who enters their name in this book will be listed in future print runs of Curiocity. And there will be future print runs of Curiocity. It's not just the greatest book about London published in modern times, it's also a glorious physical object to hold, to behold, and to thwack against the head of anyone who declares that print is dead. In a playful way, of course. Curiocity by Henry Eliot and Matt Lloyd-Rose is out now from Particular Books, an imprint of Penguin Random House. Here's the Amazon link, but you'd be doing everyone a favour by buying it from your local independent bookseller. Disclaimer: the reviewer knows the authors well and contributed to the precursor magazine Curiocity. So, yes, he might be accused of bias. But this really is a bloody good book.